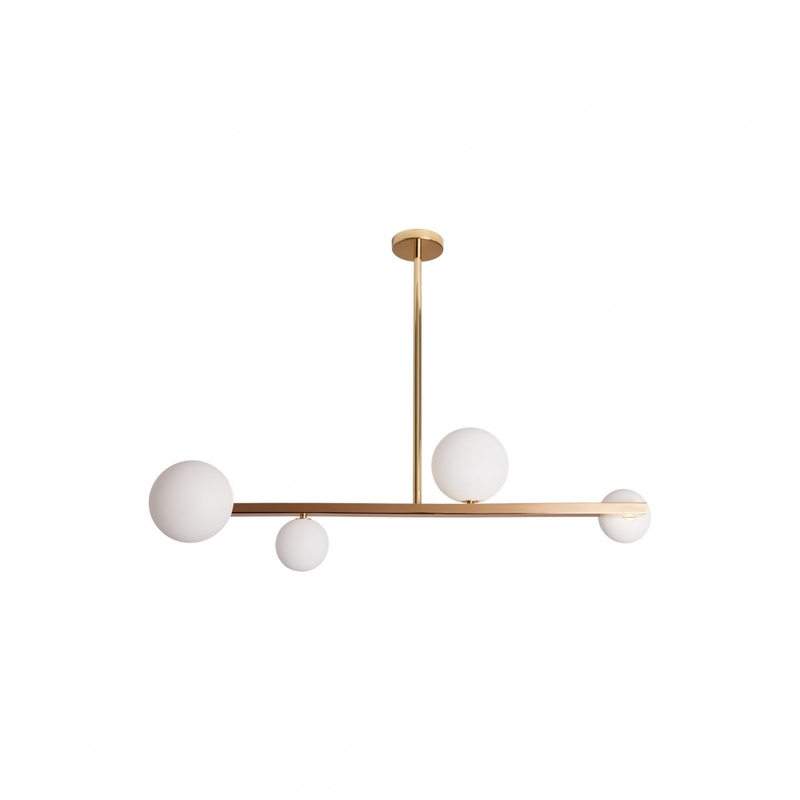 The transposing of its sister product, the Vermeer Pendant, this Gabriella Pendant by Heathfield & Co has a horizontal layout (as opposed to the vertical set up) with a simplistic lines of clean satin brass central column suspended by a vertical fixed beam and punctuated by almost random orb-like spheres of differing sizes. There is symmetry to the alternating sizes of the pearl-like glass domes which diffuse to create a soft light. The Pearl range draws influence from the same precious stone found in natures wonders of the sea. We think this has turn-of-the-last-century charm which lends itself to many style categories. Pair it with mid-century, modern or any clean-line furniture to bring out it’s simple elegance.